The Nifty fell 174 points to hit day's low of 10,185 in late afternoon deals. 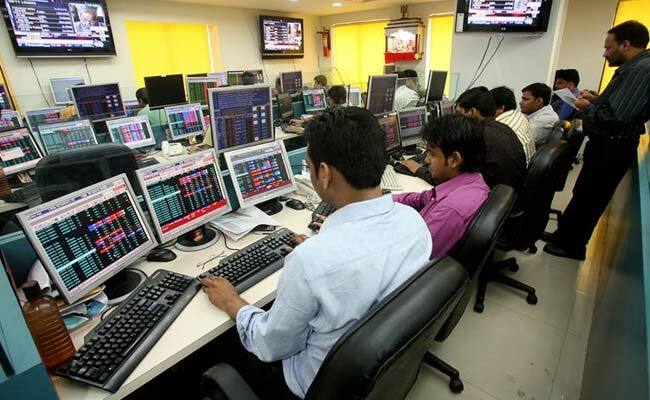 The BSE Sensex fell 509 points to close at 33,176.00 on Friday, continuing its downward movement for the third straight session dragged down by finance, energy and metal stocks. The Nifty fell 165 points to settle at 10,195. Forty one stocks on the 50-scrip Nifty ended in the negative zone. Top losers on the Nifty50 were Indian Oil Tata Motors and UltraTech Cement. Brokers said persistent selling by investors and capital outflows by foreign funds and a weak trend in Asian bourses, due to increased concerns over the prospect of a global trade war, dampened market sentiment. “The recent under-performance for our markets vis-a-vis global indices can be attributed to negative news flows and NPA concerns related to PSU banks,” Prasanna Pathak, fund manager, Taurus Mutual Fund, told NDTV. State-run banks rose, with PNB rising 2 per cent, Bank of Baroda 1.5 per cent and Oriental Bank of Commerce 3.5 per cent. SBI was up 0.3 per cent. HDFC, LIC Housing Finance, Kotak Mahindra Bank and Bajaj Finance were down at least 1 per cent each in afternoon deals. Coal India declined over 5.5 per cent as the shares traded ex-dividend. Coal India's board of directors had on March 10 approved payment of interim dividend for FY18 at a rate of Rs 16.50 per share. Coal India has fixed March 19, 2018 as the record date for payment of interim dividend. Nalco was down around 1 per cent. The rupee fell by 3 paise to 64.96 against the US dollar in the forex market. Strength in dollar against other currencies overseas as traders eye the Federal Reserve's meet next week and a lower opening in domestic equities kept pressure on the domestic unit, dealers said. Government data on Thursday showed trade deficit narrowed to a five-month low of $12 billion in February. Exports grew 4.5 per cent in February - the lowest expansion in the last four months, to $25.8 billion as shipments of engineering, textiles, and gems and jewellery declined. The trade deficit - the difference between imports and exports - had stood at $9.52 billion in February 2017. Among pharma stocks, Dr Reddy's Laboratories rose 0.7 per cent, Glenmark Pharma 0.8 per cent and Sun Pharma up 0.2 per cent in the morning. On net basis, foreign portfolio investors (FPIs) sold shares worth Rs 705.40 crore while domestic institutional investors (DIIs) bought shares worth Rs 256.45 crore on Thursday, provisional data showed. Equities in other Asian markets were on the defensive as worries over US investigation into Donald Trump Organization tested investor nerves. Investors were already frayed by fears that US tariffs could hurt the global economy and trigger a trade war. MSCI's broadest index of Asia-Pacific shares outside Japan slipped 0.2 per cent in early trade. Japan's Nikkei was down 0.3 per cent. Overnight on Wall Street, the S&P 500 edged 0.08 per cent lower, marking its first four-day losing streak of 2018.